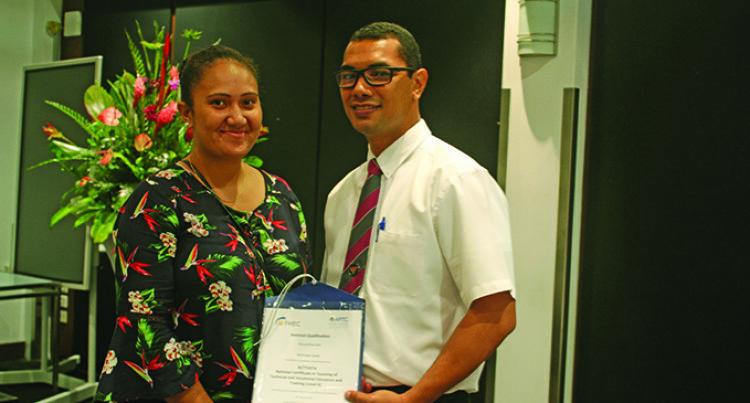 Nicholas Clement Gock hopes that his new qualification in Tertiary Teaching will allow him to better deliver his classes at the Latter-day Saints (LDS) Technical College. Originally from Nasarowaqa Bua, he lives in Tamavua and teaches Automotive Engineering, Basic Technology and Religion at the LDS Technical College in Suva. “Three of our trainers including myself took this programme and I believe it will greatly help us in meeting the learning needs of our students,” said Mr Gock. The Level 4 Certificate was delivered online with a one-week long face-to-face classes.